Lawsuit Targets Celebrity Poker Game Celebrities including Tobey Maguire, Leonardo DiCaprio and Ben Affleck are said to have been players in a weekly poker game. Several players in the game have had lawsuits brought against them, after a hedge fund manager who also played gambled away money gathered in a Ponzi scheme. 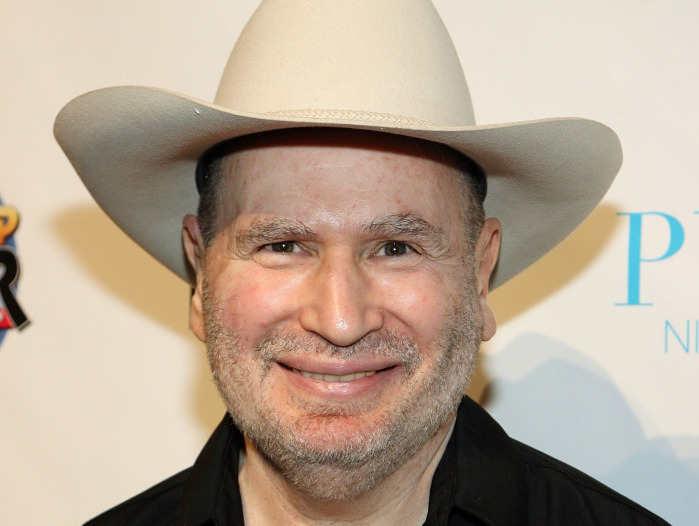 Gabe Kaplan, star of Welcome Back Kotter, has been part of a long-standing, private poker game. He is now being sued for his winnings. Actor Tobey Maguire is one of a handful of celebrities being sued for allegedly winning cash that was stolen from investors in a Ponzi scheme. Former hedge fund manager Bradley Ruderman reportedly confessed to losing $5.2 million of investors' money in a weekly poker game. Now, those investors want their money back. Celebrities including Matt Damon, Leonardo DiCaprio and Ben Affleck are said to have been players in the game, though no lawsuits have been brought against those three. But Welcome Back Kotter star Gabe Kaplan is among those who have had lawsuits brought against them. He tells Weekend All things Considered guest host Rachel Martin that he's being sued because he won. "The suit only involves people who won money in games that the man who ran the hedge fund, which turns out to be a Ponzi scheme, was playing in," he says. Private poker games are legal in California, so long as it isn't a "controlled" game. Nobody is allowed to make money for operating the game. The lawsuit alleges that these games were illegal, and says that since they were illegal, the defendants have no right to keep Ruderman's stolen money. Ruderman is serving a 10-year prison sentence for his actions. Kaplan describes the game as a high-stakes, no-limit Texas hold 'em contest that has been played for roughly 10 years. He says that only those who consider themselves excellent poker players sat in. "Ball caps, no sunglasses, no cigars, nobody drinks," Kaplan says of the scene. "It's real serious. People want to win." He says Ruderman was a below-average poker player, but he knew how to bluff. "When this guy came in, he was so convincing, he seemed to have the kind of personality that he didn't really care that much about the money, and he duped a lot of the people in the poker game to invest money into his fund," Kaplan says. "I mean he was a mini Madoff."